Chart a course on The Bras d’Or Lake, a UNESCO Biosphere Reserve and Canada’s largest in-land sea. For boaters, find detailed boating information at boatingcapebreton.com. The Bras d’Or watershed, a UNESCO Biosphere, is a unique salt-water estuary that constitutes a true inland sea. Communities around the Lake choose to take on the challenge of protecting the biodiversity while continuing responsible human activity on the Lake. The Bras d’Or Lake has unique characteristics, with species typical of both Arctic waters and warm subtropical oceans. The Bras d’Or Lake provides an unparalleled sailing and boating experience. The Lake measures roughly 100km in length and 50km wide with a maximum depth of 287 meters and is surrounded by tree-covered, rolling hills, providing just the right amount of wind. Known for fog-free waters, secluded anchorages, and hundreds of coves and islands, the area is a boater’s paradise. Marinas and yacht clubs offer berths and mooring space, launch/haul-out services, water hook-up, and electricity at the dock. Other amenities may include washrooms, showers, laundry, telephone, wifi, fuel, ice, pump-out, waste oil services, pressure-washing, and tender services. The Island has several harbour ports for vessels both small and large to dock. 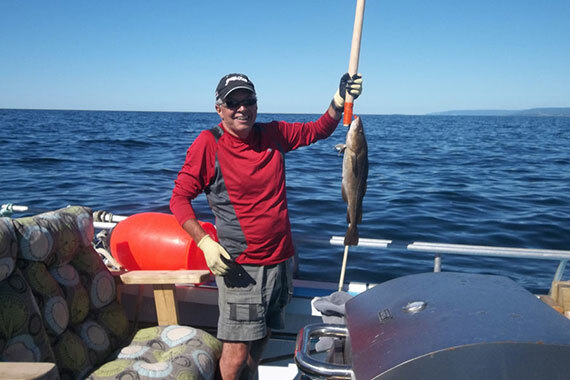 From relaxing sailing tours on the Bras d’Or Lake, to adventurous zodiac whale cruises on the open Atlantic or lobster dinners out on the water, Cape Breton offers a wide range of boat tours and charter activities. Incredible coastal vistas provide the backdrop to the abundant sea life found in the North Atlantic, featuring whales, seals and many seabirds and fish.